We had great visit with our friends at Paulson Bott Press this week to take a look at new work by Bay Area artist Liam Everett. 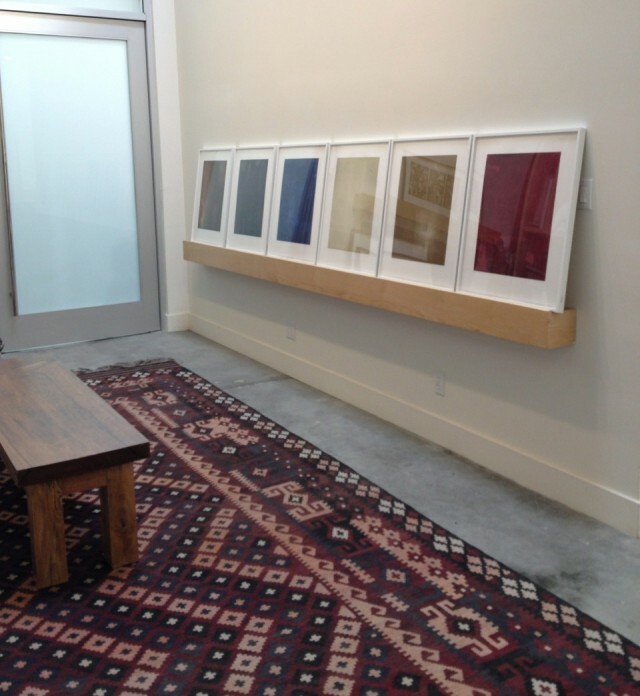 Paulson Bott is an innovative print making shop specializing in limited edition intaglio prints. We got into a detailed conversation about how Everett attained some of the rich and varied texture and patterning in his new prints….that led to a conversation with Renee about the finer details of printmaking methods. Rarely does an experience provide an opportunity for innovation, collaboration and exploration for an artist quite like working with expert print makers. 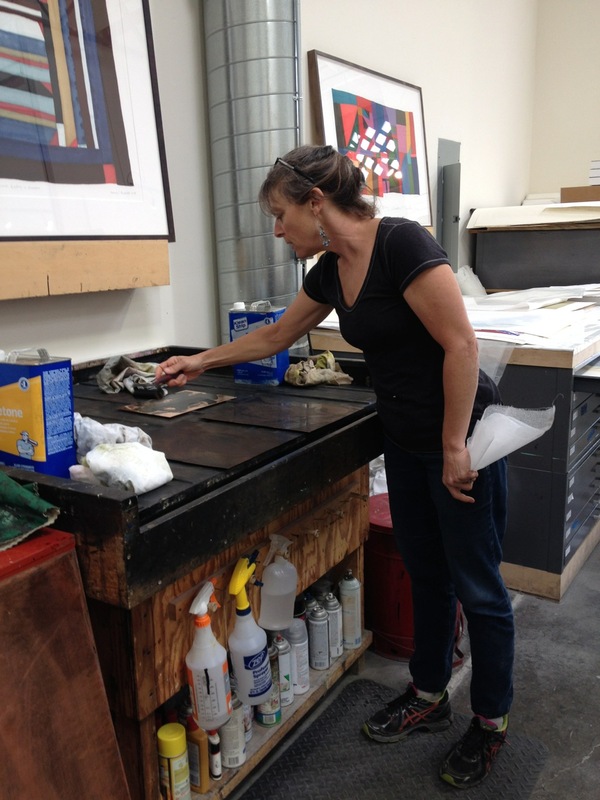 The printmaking process opens the door for a dialogue between artists and professional printers who are masters in the techniques of their field. 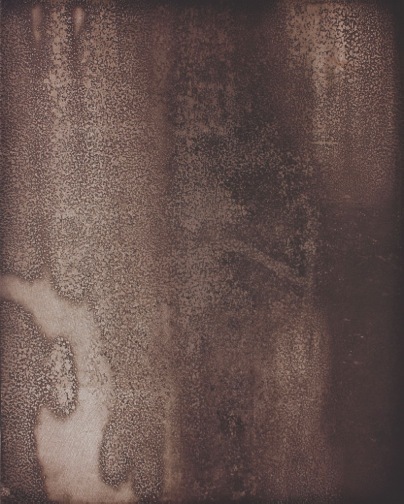 Everett’s new work incorporates flat bite, a means of ‘biting’ areas of the printing plate with acid instead of inserting tooth or texture with more traditional tools. This method causes ink to accumulate at the edges of the image, leaving its center holding the ink retained by the grain of the metal after the plate is wiped. Further experiments involved using asphaltum, a sticky tar-like substance that creates a highly textured pattern. 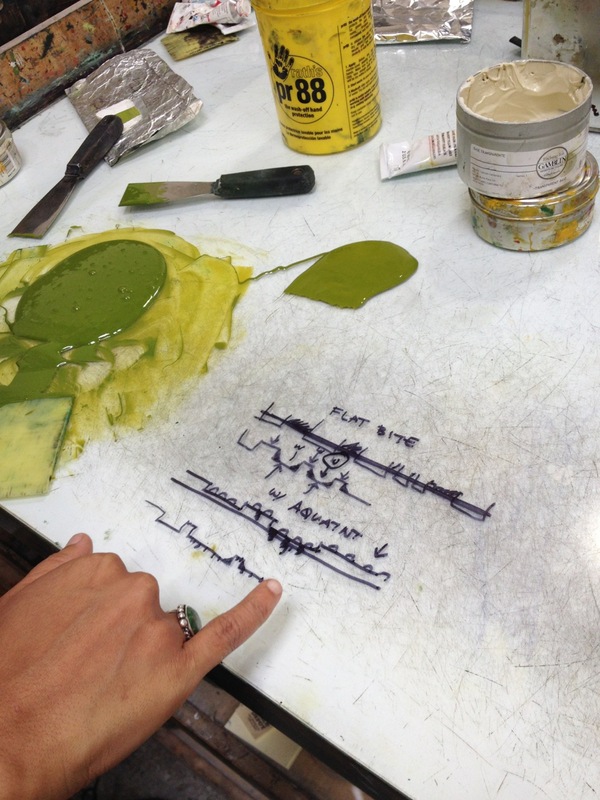 These types of inventive printing techniques involve specialty knowledge that only master printers hold, allowing artists to execute their concepts and discover new possibilities in their own work. The new prints created by Everett reflect his traditional paintings where he uses a labor-intensive process of layering paint and then stripping these layers away by sanding them down. Like his paintings, these prints succeed in evoking the rich, layered feel that is indicative of the artist’s style while using a completely different medium. 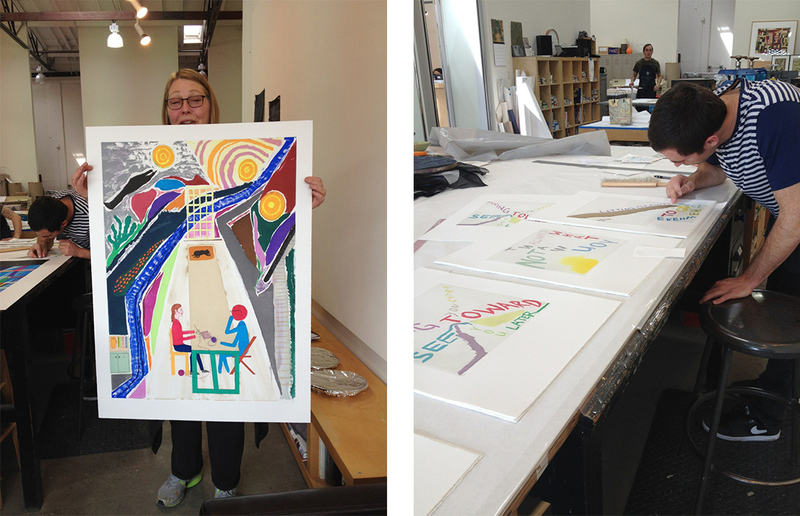 Paulson Bott Press will debut these new prints at artMRKT San Francisco from May 15 – 18.